First win of the season for Life Cycle! 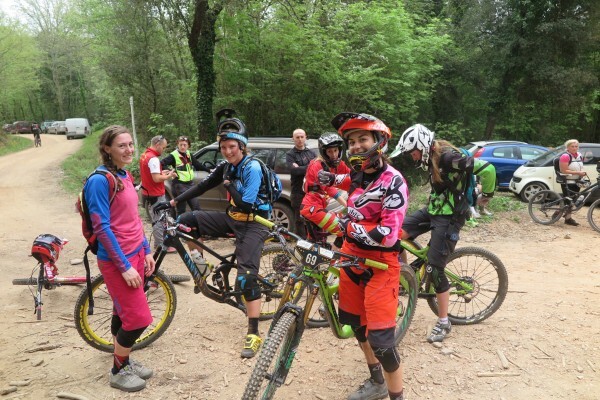 Last weekend the team participated in the first leg of the European Enduro Series 2015 in the resort of Punta Ala – a location that has hosted top flight Enduro events for for several years. This time round, the uncertain weather brought some rain on Saturday night, improving ground conditions and grip. The race took place over two challenging days, characterized by a special prologue stage on Saturday and four stages on Sunday, giving a total race distance of 45km, with transfers on steep dirt roads and special stages that were extremely challenging, alternating between very technical sections and then physical pedaling sections, that left riders breathless. The course was well liked by all riders due to the mixed and varied stages and the challenge it presented to racers. 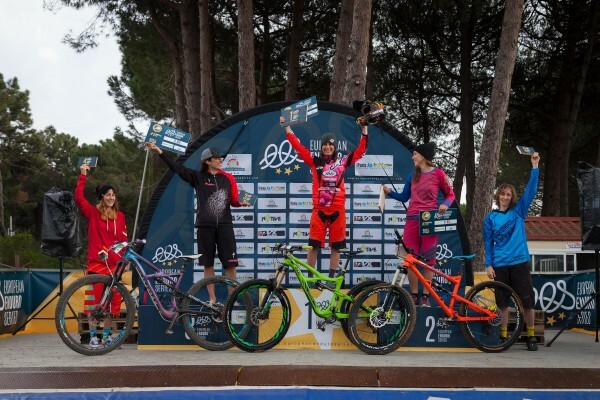 Valentina Macheda has built on her podium place in the Italian Cup last week, and managed to claim her first victory of the season, taking the top step in Life Cycle team colors, confirming the excellent physical condition she’s in after all her hard work this winter. 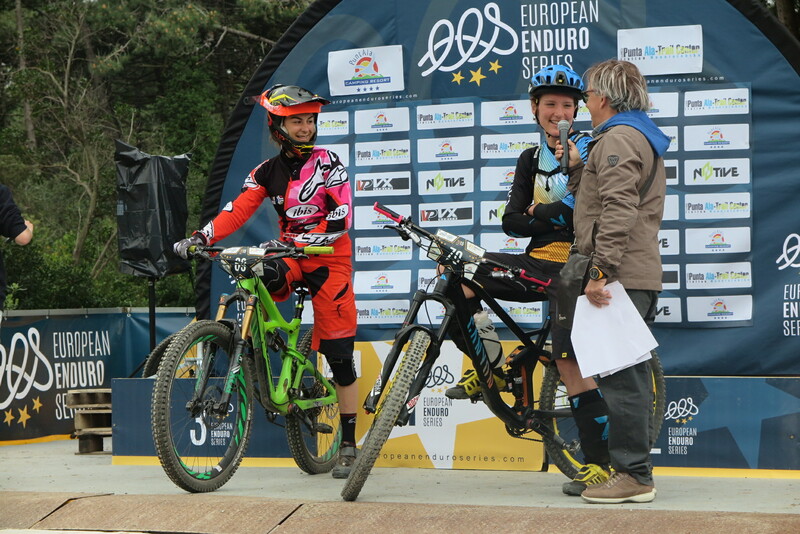 I’m really happy to be able to get on the top step! I came to this race without too many ambitions since the training program made me suffer a lot to be ready for the Italian Cup next week. I must say that once I started racing, the fatigue accumulated in previous days was less serious, so I was able to increase the pace stage after stage. 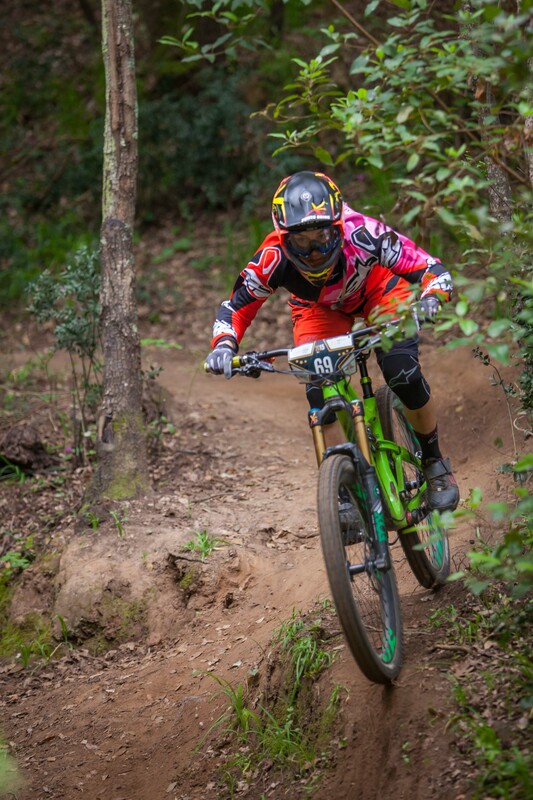 It was a surprise to know that you have won but inside I had the realization that I was riding well and doing everything right, so in the end I allowed myself to hope! Manuel’s condition is improving rapidly and this weekend he’s back riding his bike, allowing him to resume training and cheer on Vale along the race route. The next event for the team will be next Sunday in San Piero in Bagno for the second round of the Italian Cup.